The Merry, Merry Month of May! May has so many national “wine days”, we can eat, drink and be merry all month long! Along with Chardonnay, a familiar favorite, it’s a great excuse for you to try a couple of the lesser-known varietals like Muscat Canelli and Sauvignon Blanc – all of which grow well here in the Temecula Valley. First up on the calendar is #MoscatoDay, which falls on May 9th. The day was introduced here in the US by Gallo Family Vineyards back in 2012 to celebrate the rising popularity and sky-rocketing sales of the varietal. If you know nothing about Moscato (or Muscat/Muscat Canelli), it originated in the Piedmont region of Italy where it’s a favorite due to its sweetness, lightness and affordability – and is popular as a sparkling wine. You’ll find Moscato table wines in white, red or rosé styles, and they make an especially delicious dessert wine. With it’s bouquet of peach, honey and citrus, a delicate sweetness and fresh acidity, it’s perfect served with a plate of fresh cheeses. Try the Muscat Canelli from Leoness Cellars or Lorimar Winery; or the Moscato from Ponte Family Estate Winery. May 15th is #InternationalSauvignonBlancDay. Originating in the Bordeaux region of France, the grape is also widely planted throughout New Zealand – and grows with ease here in the Temecula Valley. An acidic wine that displays a citrus-y, grapefruit-like quality, it’s a pleasing choice for a warm summer day. A very versatile vino, Sauvignon Blanc pairs well with shell fish, grilled vegetables (even asparagus!) and cheeses. It’s the perfect picnic wine! 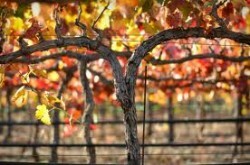 A few faves include those from: Europa Village , Maurice Car’rie Winery or Monte de Oro Winery. And then there’s the day to pay homage to the old standby, Chardonnay, on #ChardonnayDay, May 21st. The world’s most planted white wine grape varietal is enjoyed by fans all over the world. Generally dry to medium-dry with pear, apple, tropical or citrus fruit flavors, Chardonnay is grown in virtually every wine-producing region. Crisp and fresh with little to no oak aging, or creamy and buttery with extensive oak aging, there’s a Chardonnay out there that will make just about anyone smile! Can’t live without Chardonnay’s are available at: Callaway Vineyard & Winery, Oak Mountain Winery and Thornton Winery. Finishing out the month is #NationalWineDay, which is celebrated on May 25. Not to be confused with National Drink Wine Day which is held in February, National Wine Day is actually just another lame excuse for us wine lovers to drink wine. Because for wine lovers, everyday is wine day, right? Cheers! Posted in Association News, Wine Pairing Guide, Winery News | Comments Off on The Merry, Merry Month of May! This Grapefruit Curd one of the classic breakfast starts at The Inn at Europa and is also great for a light spring dessert. Europa Village Garnacha Rosa is a perfect pairing with the slight dry-sweet approach to offset the tartness and burnt sugar flavors. Using a stainless steel sauce pan, mix the cornstarch and sugar together. Add the grapefruit juice and zest. Bring to a simmer. In a small mixing bowl, whip the egg and egg yolks. Slowly add the cooked grapefruit-sugar mix while whipping to temper the eggs (do not cook to scramble.) Add the two ingredients together; remove from the stove and finish with the butter. Cover and chill. For service, place 2 tablespoons of the curd onto a plate. Top with the quartered banana and sprinkle with Sugar in the Raw on top. Using a flame torch, burn the sugar until completely dark and slightly smoking. Garnish with seasonal berries, grapefruit segments and bee pollen.